Toy Sale Boat is giving away a Kotobukiya Darth Maul ArtFX+ Statue courtesy of FigureoftheDay.com. To enter, Like Toy Sale Boat on Facebook then leave a comment to this Facebook post with the correct answer to today's Figure It Out trivia question. Check back each day for new trivia and another chance to win. After May 31, one lucky winner will be chosen from the correct answers submitted throughout the month. On January 14 (2012), I posted about Diamond Select Toys' final Ghostbusters MiniMates set - the Spectral Ghostbusters. What episode of The Real Ghostbusters is this set based on? You don't need to be lucky or have a photographic memory to answer today's question. Just head over to www.facebook.com/ToySaleBoat and utilize the history panel on the right side of the page as part of the new Facebook. Pick the year and the month you wish to view and you are instantly transported back in time. Make sure to click the "Show all posts" button so as not to miss any posts. Good luck! Disclaimer: The "Figure It Out Of The Day" giveaway is open to residents of the continental United State only. Odds of winning depend on the number of entries. No purchase necessary. 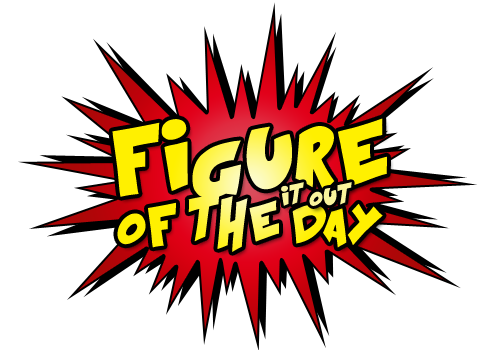 The "Figure It Out Of The Day" giveaway closes on May 31, 2012. Toy Sale Sale and Figureoftheday.com are not responsible for prizes lost in transit. One grand prize winner will win a Kotobukiya Darth Maul ArtFX+ Statue. Winner agrees to allow his name to be published on toysaleboat.com and Toy Sale Boat Facebook page.